This week, I traveled on a real business trip for the first time in my life. (I also have a work laptop and cell phone!) My colleagues, Janet, Rolland, Cailtin, and I flew north to Dallas, TX for the Justice for Our Neighbors (JFON) Roundtable 2015. There, we spent 3 days with JFON attorneys, board members, and staff members from all over the United States. South Florida is one of JFON’s newest offices, so it was really awesome to hear and learn from the offices that have been open for a long time. During the conference, we worshipped together and attended sessions on topics such as, “Methods of Providing Immigration Legal Services,” “Fund Development for Your JFON,” “Special Immigrant Juvenile Visas,” “Partnerships beyond the UMC,” “Soliciting Client Feedback and Keeping Former Clients Engaged,” and “Balancing caseload, clinics, and finances: A conversation from all perspectives.” Needless to say, it was a very informative experience. 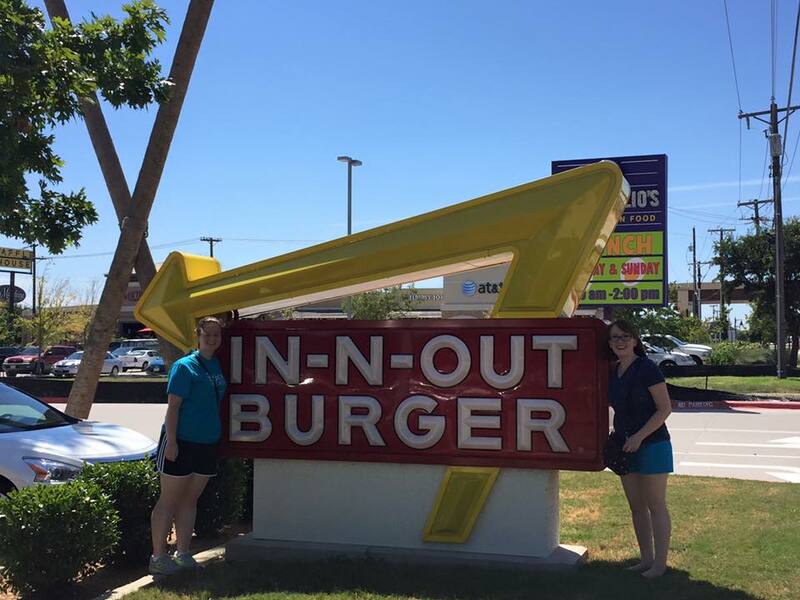 Some highlights of my time in Dallas included eating at In-N-Out Burger for the first time, watching an all-female mariachi band perform, eating lunch from the Five & Two food truck, which serves high-quality meals to people experiencing homelessness in the Fort Worth, TX area, and hearing stories of immigrants who have been served by JFON in the past, including one woman who was given her green card on the same day that she spoke. Because of this trip, Labor Day, and our YAMM orientation in Lakeland, FL, I still don’t feel quite settled. I haven’t really gotten into a routine just yet. My housemates and I plan to continue to eat together 4 nights a week (when possible), I have started reading my new 365-day chronological Bible, I have found (was given?) a church home in Redland Community United Methodist Church, we have systems for cleaning and shopping and driving, but since everything is still so new, it doesn’t quite feel routine. Tomorrow I will volunteer at Zoo Miami through an organization that “inspires, equips and mobilizes people to take action to positively effect change in Miami-Dade County,” HandsOn Miami (HOM), and I hope that community service and civic engagement will become part of my weekly routine. I hope to do Zumba more regularly, too, and I might even join a free dance fitness group that I found on Meetup. That all will depend on our transportation situation. “I’ve really enjoyed my time in Florida so far. One of my favorite memories here was when I went to Crandon Park beach. I am from Ohio, so I only have been to the beach on vacation. While I was walking up and down the shore at Crandon Park, I admired the sea shells and wildlife, the palm trees, and even the smell of salt in the air. I also stopped to smile as a few children built sandcastles at low tide. It was really fun to watch because, when I was little, making castles out of sand was my favorite part about the beach. Something did not sit quite right with me, though. As I watched the children playing, another image came to me. It was the image of a three-year-old Syrian boy, Aylan Kurdi, whose body washed up unto a Turkish beach after he died fleeing from Syria. If you follow the news at all, I’m sure you have seen the picture. Despite the devastation being felt by God’s children, the United States has only welcomed 1,500 Syrians as refugees since the war in Syria began in 2011. I have signed the petition calling the White House to welcome 65,000 Syrians into the United States by 2016, and you can, too. Sign the petition here. Today I was supposed to enjoy a day in Key Largo, but impending thunderstorms caused me to stay home, eat french toast (thanks, Drew), and write this blog instead. (Of course it is sunny and beautiful right now.) But don’t worry; I intend to have many adventures in the next two years. And since I’m home, I plan to spend the rest of the day watching Gilmore Girls and decorating my room (finally! ).